This entry was posted in Denmark Immigration and tagged Denmark Immigration Consultants Denmark Student Visa process Denmark Work Visa immigrate Denmark on June 30, 2016 by Blog Author. I am sure you have not given a thought to research in any country, not just Denmark. Now that you’ve had your Eureka! moment, please continue reading. If you have a masters degree and you are wondering what to do next. Apply for a research program would be a good idea. It may not be all that easy to crack a research program, but once you do, it is a cakewalk from there. How to apply for a research program? Step 1: Find out which universities offer Ph.D. or Research Associate positions in your field of study. Step 2: Prepare a research proposal. Your proposal should contain a hypothesis, review of the literature (previous studies related to the topic), research methodology and variables that affect the research. Step 3: A CV that includes your work experience, articles or studies published in academic journals and any other experience related to your field of study. Step 4: Meeting all the criteria of the universities you’ve applied. Step 5: Apply for jobs to make sure that you can get your work and residence permit. Every country welcomes researchers with open arms. Denmark is one of the top countries on that list. Once you get a letter of acceptance from any of these universities, applying for a visa is quite easy. There are ample teaching jobs for researchers. Even a part-time job is enough to get work or stay permit. 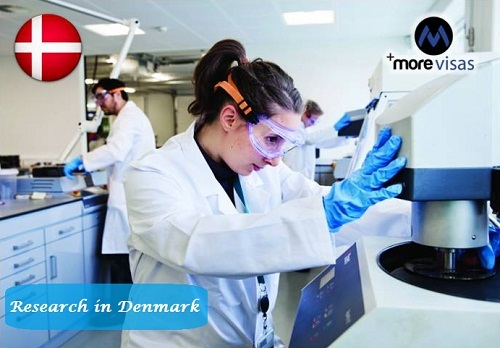 Unlike others whose visa will expire if they stay for more than six months outside Denmark, a researcher has no restrictions. The benefit of a research program extends beyond this. Research gives you a different perspective on life. 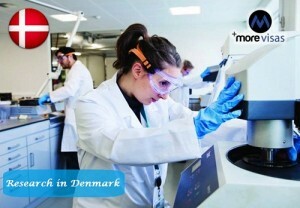 For more information on immigration to Denmark, you can visit our website morevisas.com or walk into any one of our centers and our consultants will guide you.